Conservation is key at this upscale resort community, where residents, and visitors travel on foot, bike, and golf cart. Make sure to see the new Barrier Island Study Center and “Old Baldy,” the state’s oldest standing lighthouse. In the old section of this tiny, tidy, touristy village transportation is primarily by boat (above right) over one of its many canals and by bicycle on the one path through town. Bike rentals are plentiful. Most of the wheels you will see on this attractive island near Athens are affixed to the bottoms of suitcases. A coastal path frequented by walkers and donkeys leads from the port to compact villages. One of two medinas in Fes, Morocco’s second largest city, this UNESCO World Heritage Site is said to be the world’s biggest car-free urban area. Congestion on these medieval streets comes in the form of pedestrians, bicycles, donkey- and human-led carts, and rows of colorful retail businesses. An hour from Long Beach by high-speed ferry, Catalina is popular for dining and shopping in the quaint center of Avalon,and for golf and water sports. 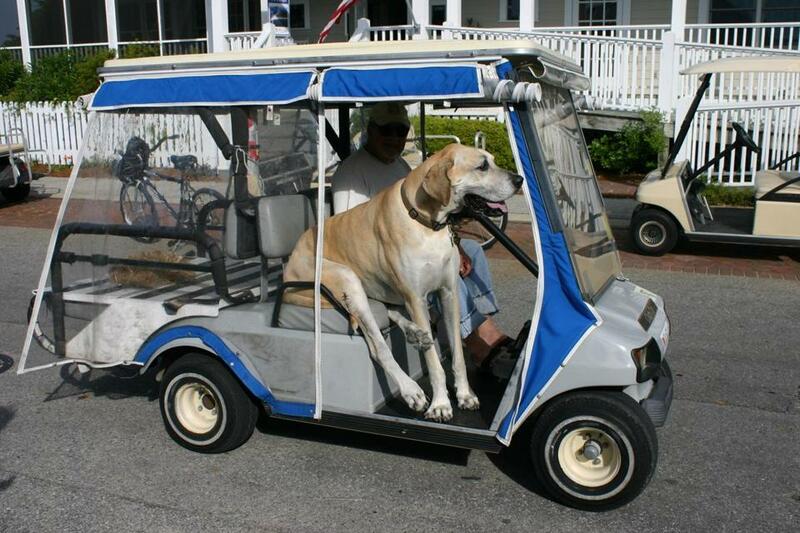 Golf carts and bicycles are the transporters of choice. Some residents have vehicles, but with a 14-year waiting list to own a car, not many.